Virtual Call Center | 8x8, Inc. Improve customer interactions and agent productivity with our powerful, easy-to-use, cloud-based call center solution. The flexible architecture of the 8x8 Virtual Contact Center allows you to integrate your headquarters, remote offices, and outsourced locations in to a virtual call center. They’ll operate seamlessly as one team and enable you to access talent outside your geography, eliminate overtime costs, and reduce overhead. Traditionally deploying a call center across multiple sites and geographies required long lead times, additional specialized infrastructure, and a dedicated IT staff. Through our innovative call center software we make it fast and easy to deploy a virtual call center solution – agents simply need a phone, an Internet connection, and a web browser to get started. Because our virtual call center solutions enable organizations to easily and cost-effectively manage multiple, geographically dispersed agents, it also helps organizations achieve business continuity and customer service resiliency in the event of a network outage, natural disaster or some other unforeseen event. 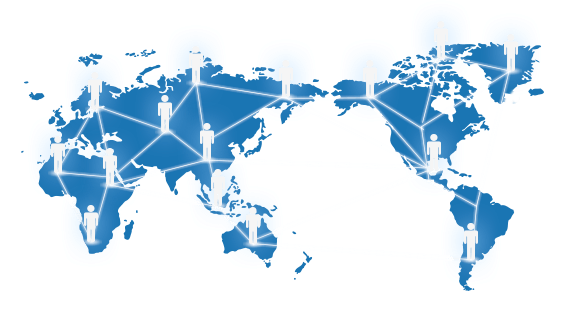 In fact, companies that have dispersed operations – remote call centers and/or home-based agents spread throughout a region, country or even globally — benefit most from the virtual call center environment. Voice of the customer insights enable companies to optimize customer experiences through data-driven decisions. With powerful 8x8 Speech Analytics, you can now analyze a full spectrum of your customer interactions and listen to the most important ones, rather than randomly selecting a small percentage of calls and hoping to identify patterns and problem areas. Learn more about Speech Analytics. 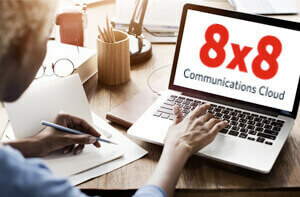 8x8 Virtual Contact Center is integrated with leading on-demand CRM services such as Salesforce.com, NetSuite, hosted Microsoft Dynamics, and Zendesk. Your CRM integration can be easily customized. Learn more about CRM and Workforce Management integrations. Spot trends fast with 8x8 Virtual Contact Center historical reporting. Optimize agent performance and improve contact center operations by giving call center managers the information they need to make smart business decisions. Learn more about Historical Reporting. Telephony, email, web chat, social media (Facebook, Twitter) and more, all in one application. 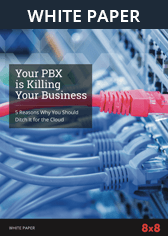 Learn more about multi-channel contact centers. Capture the voice of the customer with 8x8’s native post-call survey application. Learn more about Post-call Survey. Stay on top of everything with real-time monitoring of your contact center. 8x8 Virtual Contact Center software monitors real-time contact center statistics including queue information, interactions in progress, agent stats and other key performance indicators (KPIs). Learn more about Real-time Monitoring. Skills-based routing matches callers with the call center agents who can meet their needs. Learn more about skills-based routing. Virtual Contact Center Customer Experience is a ground-breaking analytical tool providing unprecedented levels of visibility into customer interactions and IVR usage. Learn about Customer Experience. The 8x8 Customer Relationship Management (CRM) solution is perfect for organizations that do not already have one. Learn more about the 8x8 CRM feature. 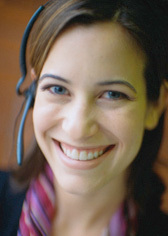 CTI (computer-telephony integration) “pops” the caller’s information to the agent’s screen as the call comes in so the agent can provide more efficient, personalized service and fast resolution. Learn more aboutCTI. An FAQ knowledgebase turns every agent into an expert and ensures customers receive accurate, consistent information. Learn about the FAQ Knowlegebase. Quickly connect callers with agents and streamline customer flow with the 8x8 Interactive Voice Response (IVR) feature. Learn more about the IVR. On-demand or random call recordings help in coaching agents. It’s easy to manage recordings management and retrieval with call center call recording. Most customers start their interactions with you on the web. With Web Callback your customers can get access to the people who can help them with the touch of a button without having to wait on hold. Learn more about Web Callback. Step 1 – 8x8 quickly provisions a tenant for your call center. Unlike other call center software providers, there are no thin clients or Java-based applications to install. No Hardware. No Software. No Cap-Ex.